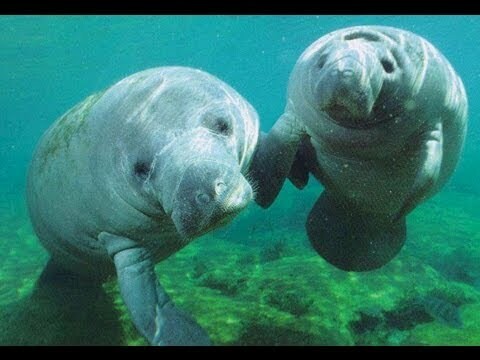 Sometimes known as Sea Cows. Lives in shallow warm coastal waters of America. Can glide at 5 miles per hour. Can remain underwater for 15 minutes whilst resting. Will need to surface every 3-4 minutes for air whilst swimming. Calves nurse underwater from teats under their mothers' flippers. Eat water plants - approximately 100-150 lbs of food day. Live for about 60 years. Biggest danger is man with motorboats and fishing nets.